Sometimes the most important page on your website is the landing page or homepage, There are so many poor looking websites on the internet, in 2014 it is very popular to have a Graceful look across all the new devices and tablets on the market. 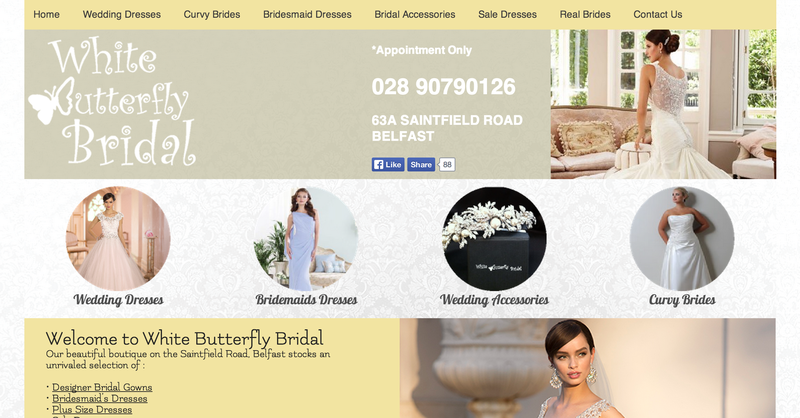 We recently had a job for a Belfast Based business, White Butterfly Bridal Shop. 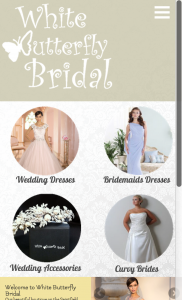 the previous design was dark and there was not much on offer, the user had to work to get the info.I felt there was room for updating the homepage to display the products and services on offer at a glance and making the traffic the site was getting turn into conversions more easily. We knew from using analytic software how many people were coming to the site and now it was about transferring this traffic into conversions and sales.